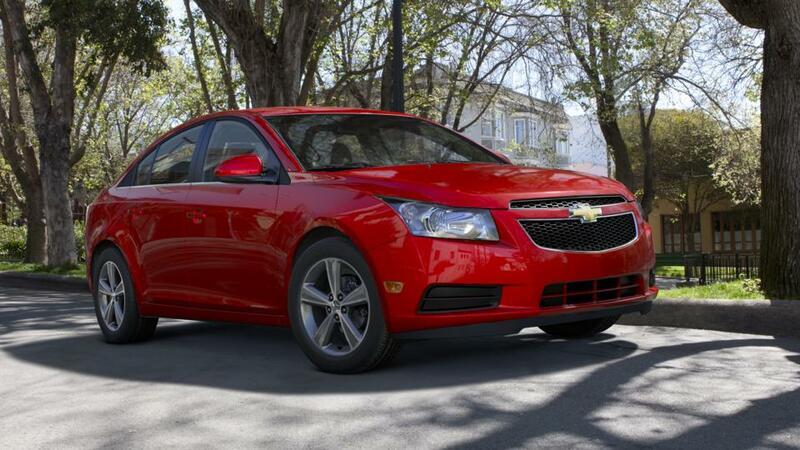 Explore the large inventory of the new Chevrolet Cruze at our Springfield, TN dealership. This car has set new standards in the compact sedan industry for a long time now. With a unique combination of technology, efficiency and advanced safety features, the amazing new Chevrolet Cruze is ruling Springfield, TN roads. The interior is decorated with premium leather embellishments and top-of-the-line infotainment system that will make you admire it. You will find all the necessary safety features in the new Chevrolet Cruze. Our Springfield, customers can consider this car if they are looking to add fun to their everyday commuting. If this sounds like your dream car, you’ll be glad to learn that this vehicle comes at an affordable price. The new Chevrolet Cruze available in Springfield, TN is equipped with standard MyLink with a 7-inch diagonal color touch-screen so your music is always within reach. If you’re looking for financing options, our specialists will assist you. So what are you waiting for? Visit our dealership and check out the new Chevrolet Cruze in Springfield, TN today!